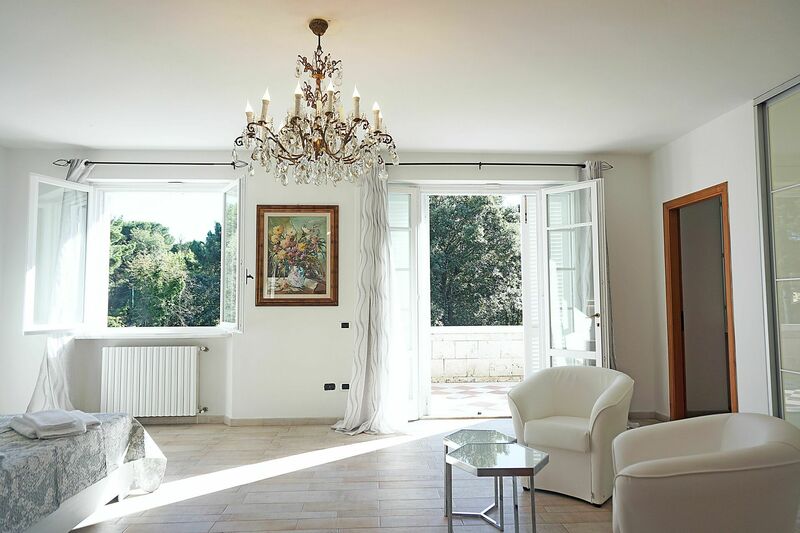 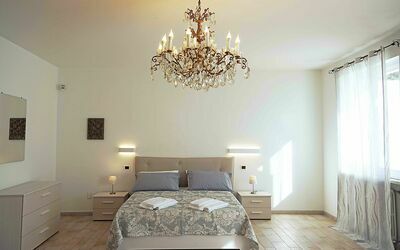 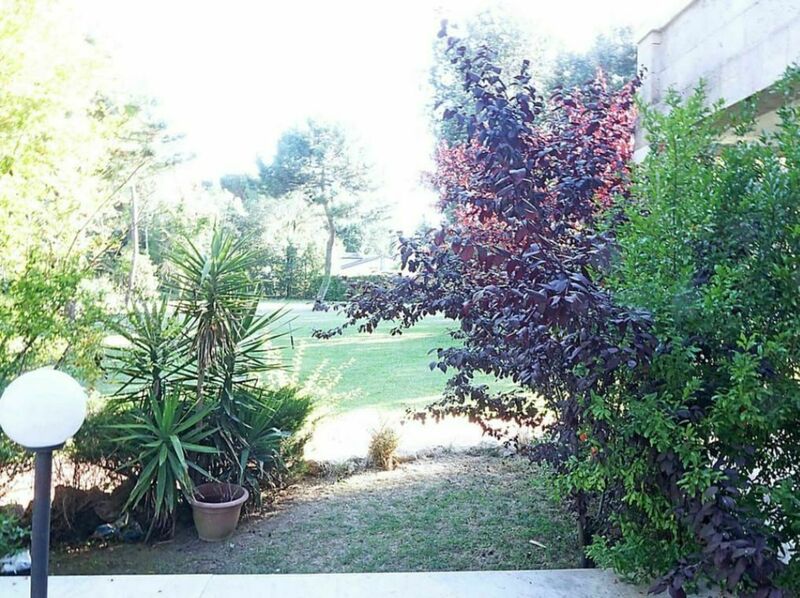 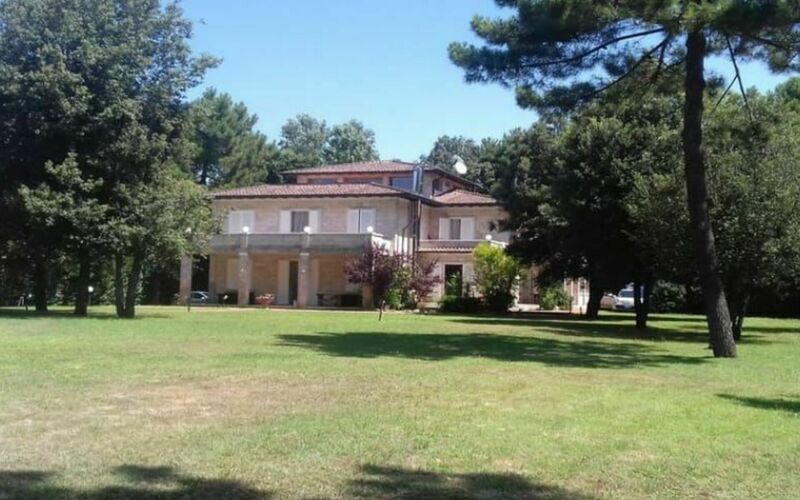 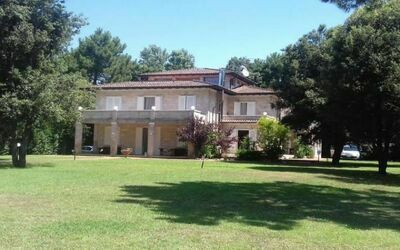 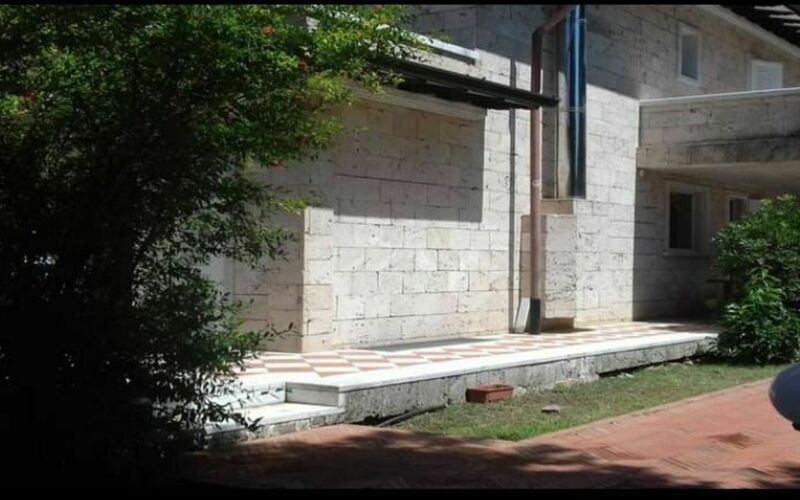 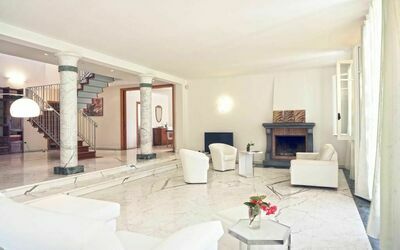 Luxury Villa located in the Seaside Resort of Ronchi, part of Marina di Massa in Tuscany. 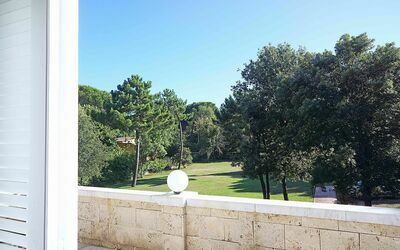 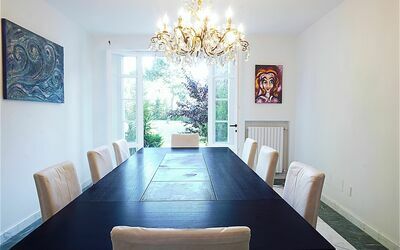 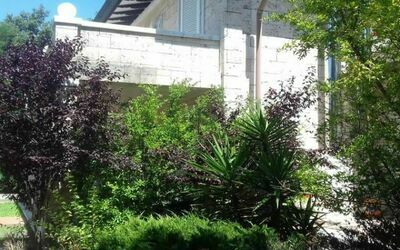 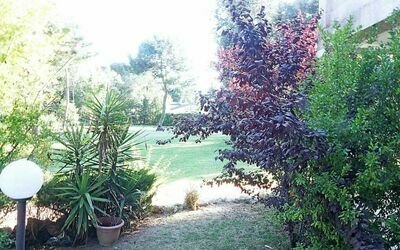 This Holiday Villa is located in a wonderful green area which ensures privacy, quietness and fresh air thanks to the hundreds of pine trees surrounding the area. 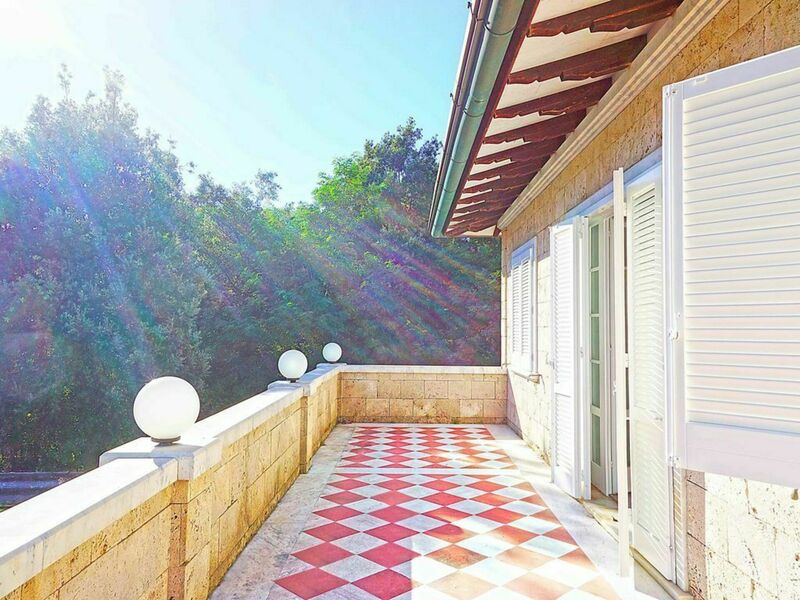 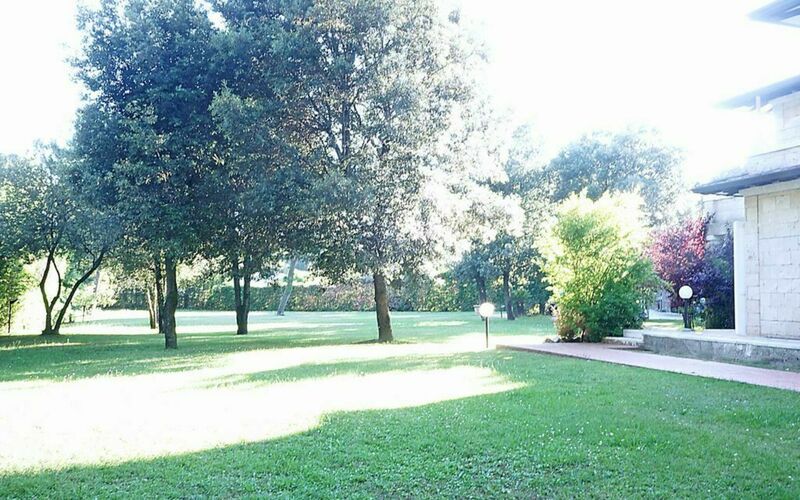 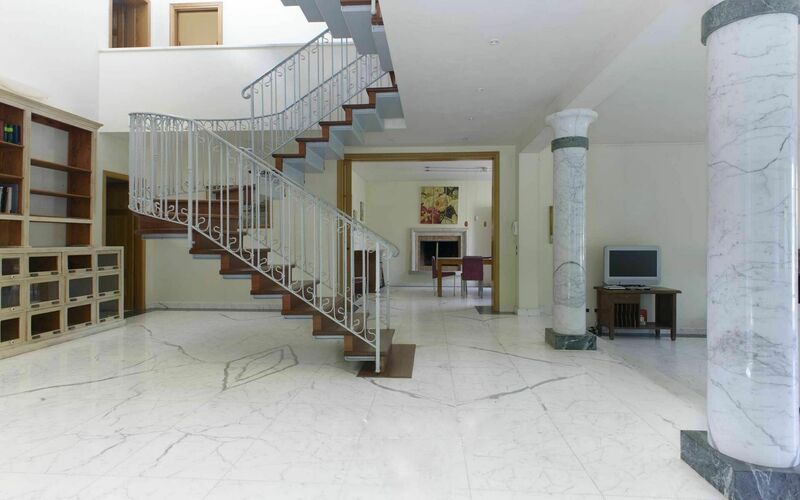 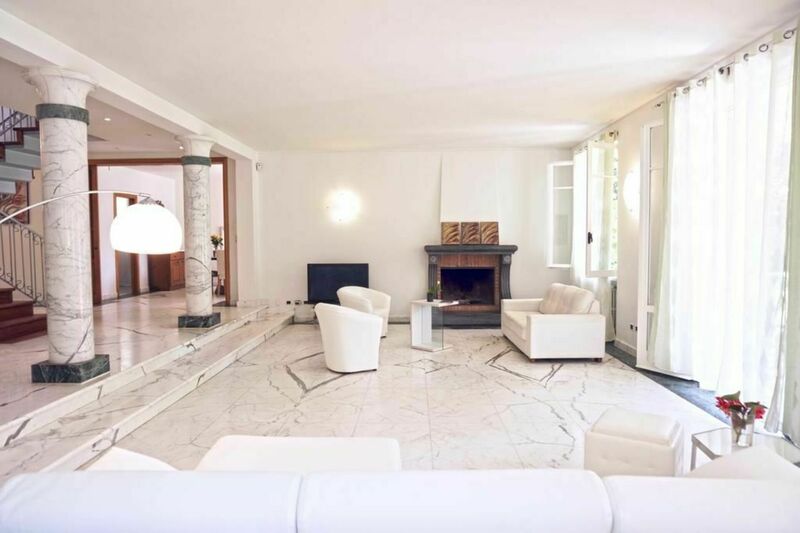 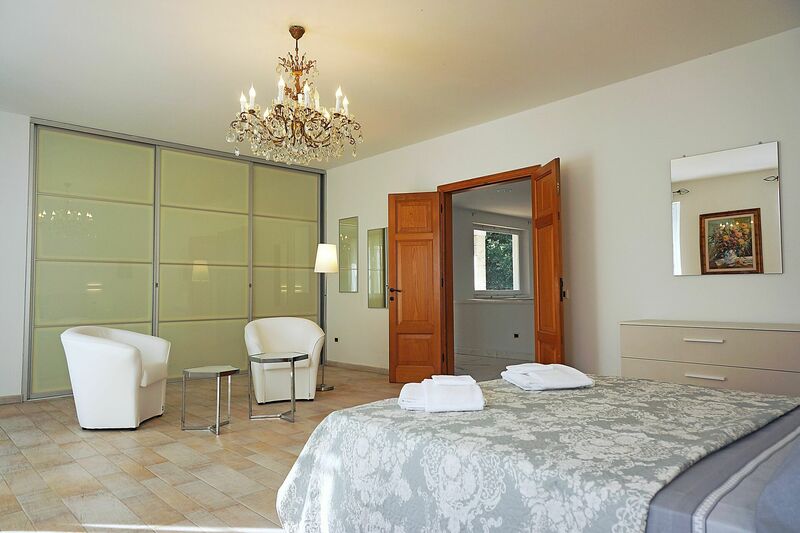 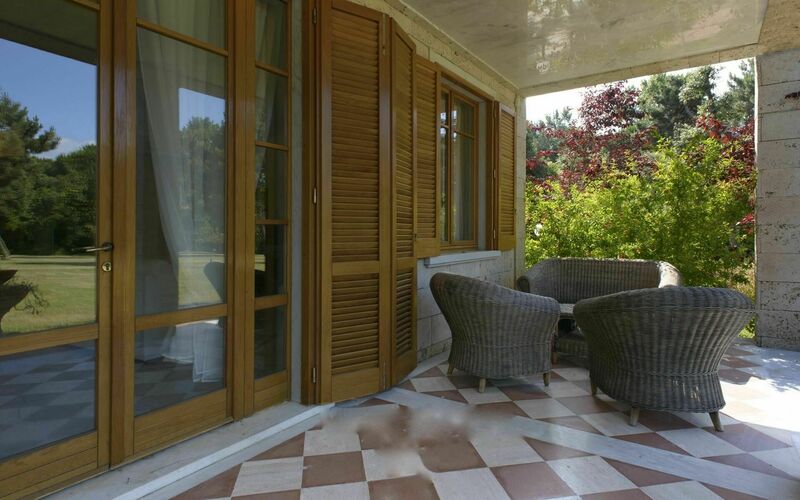 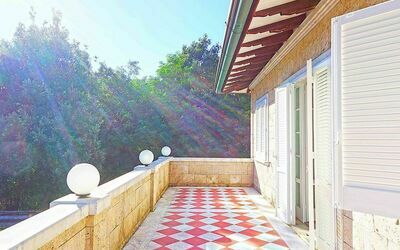 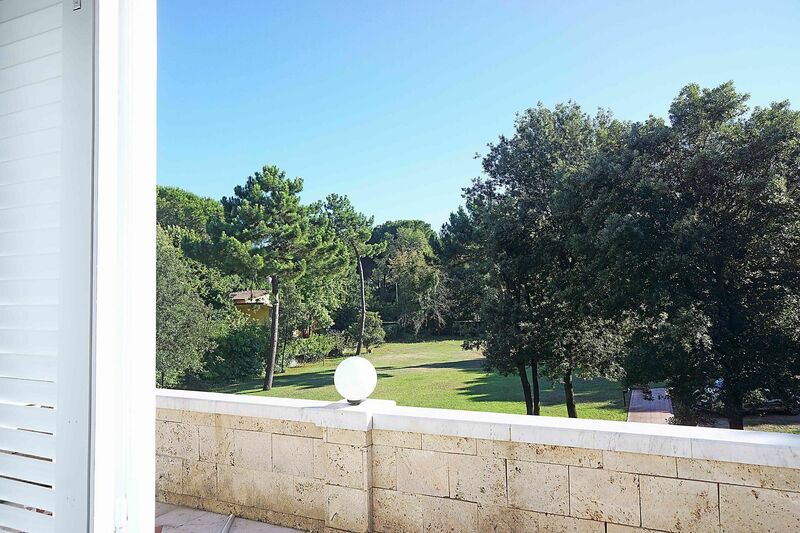 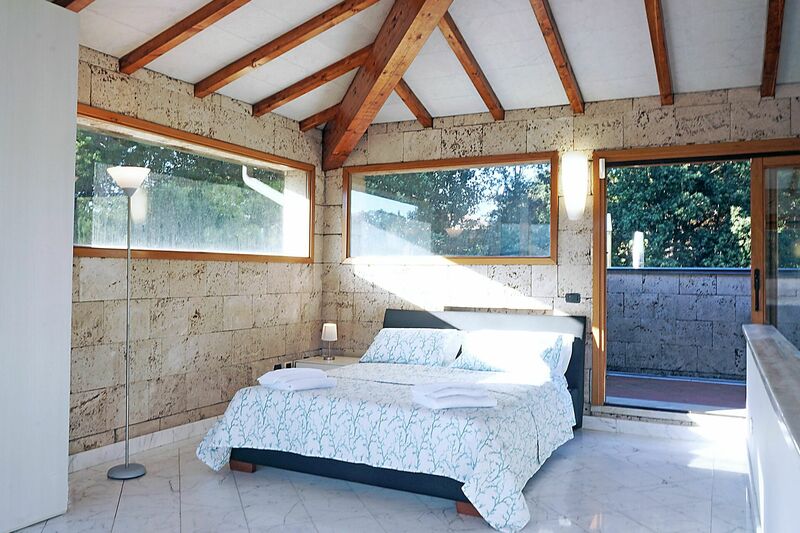 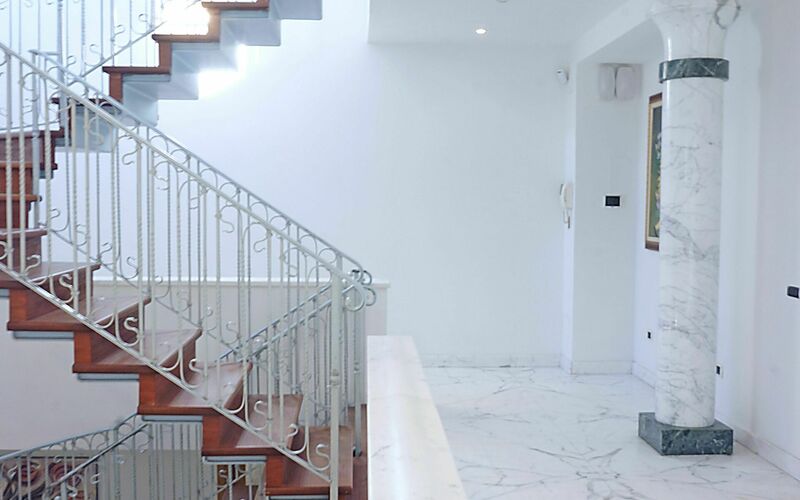 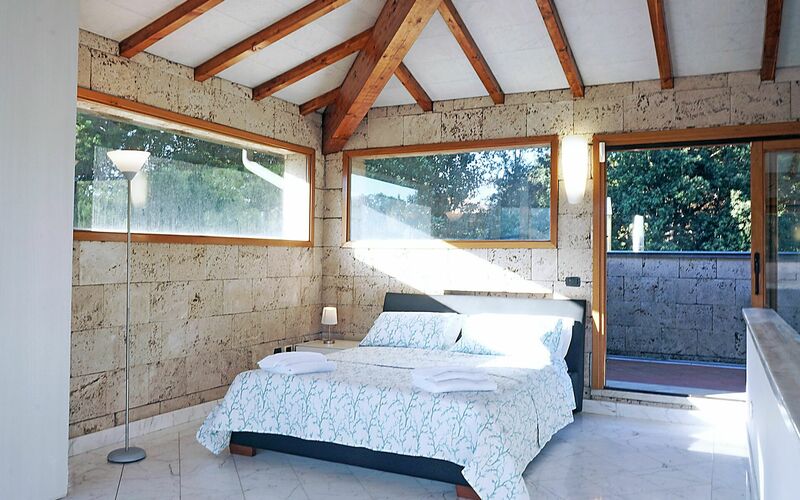 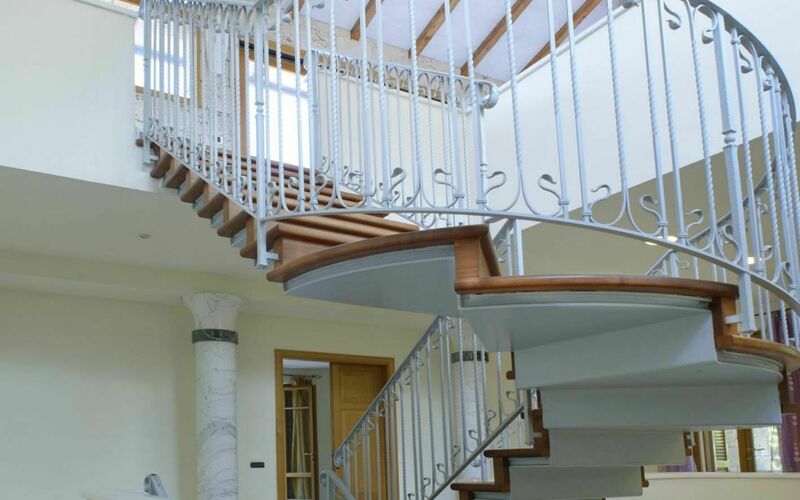 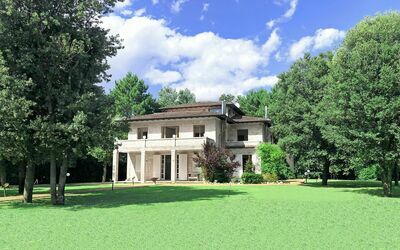 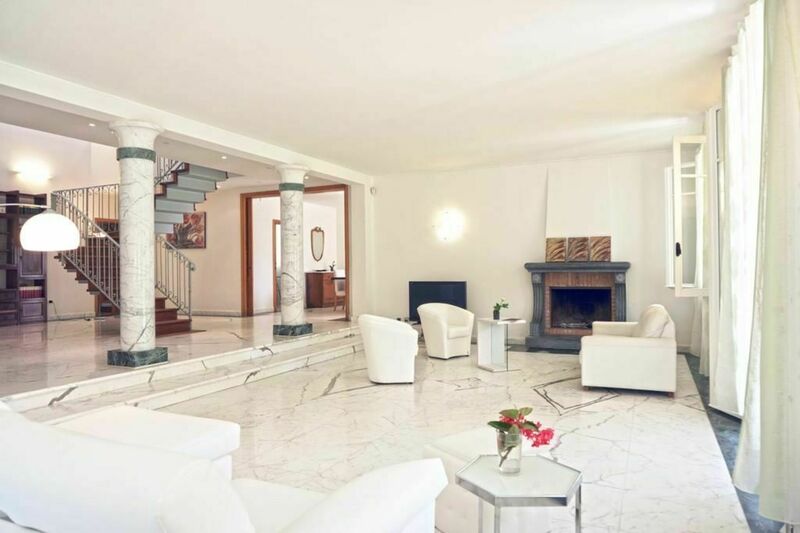 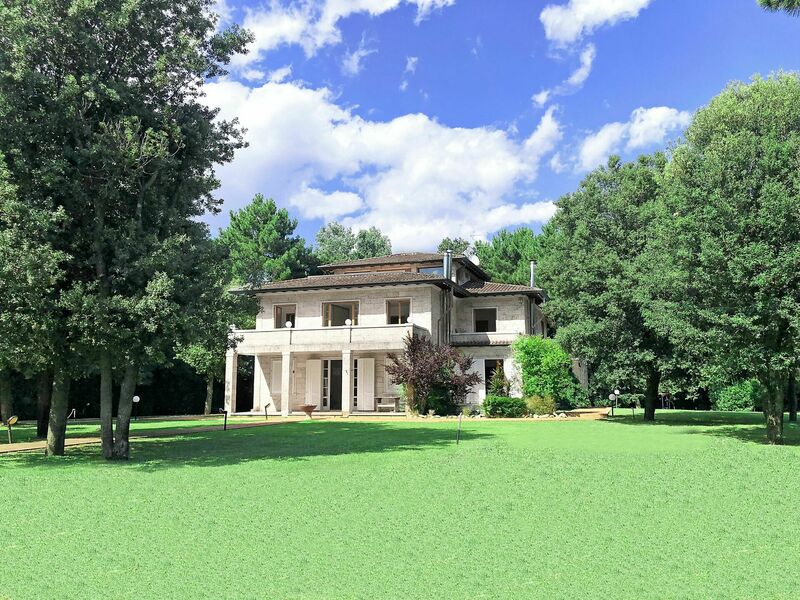 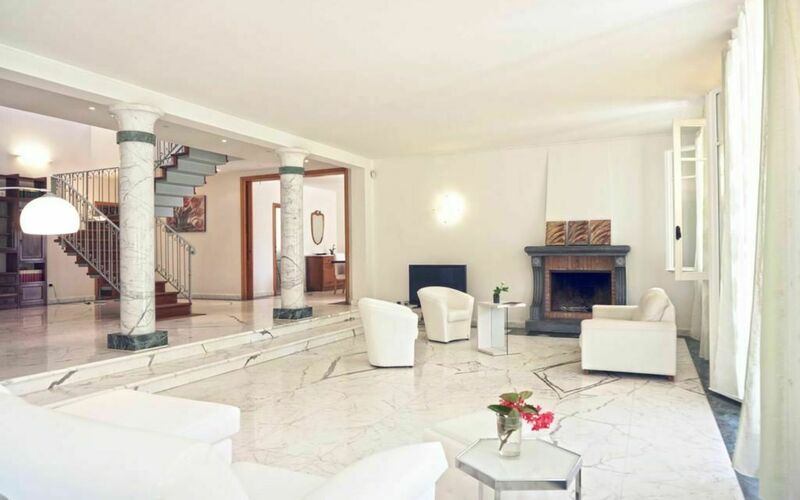 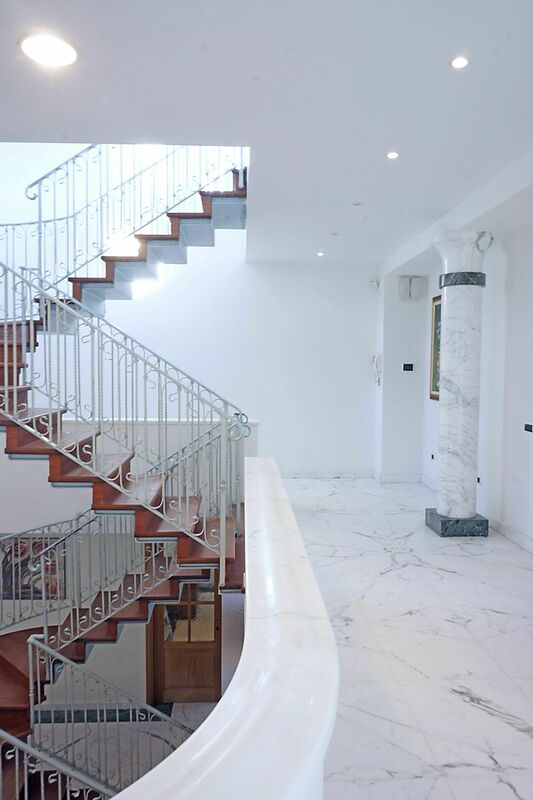 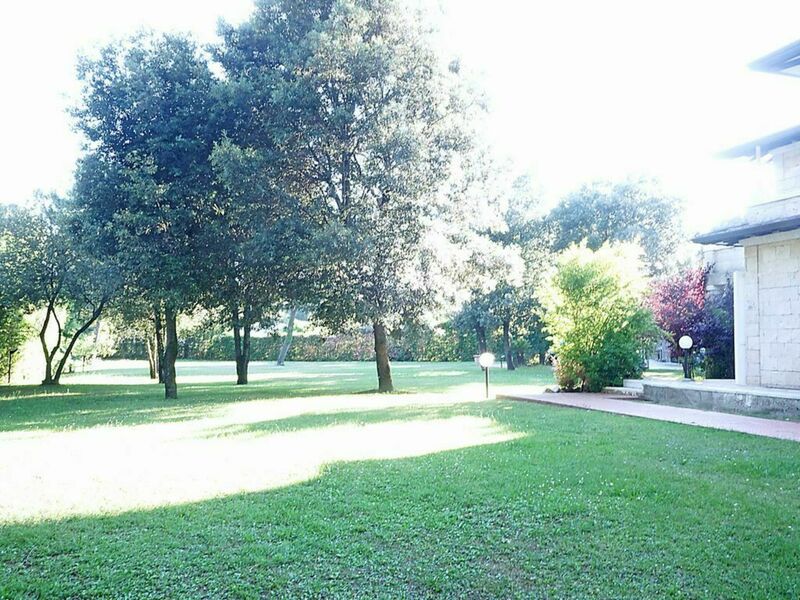 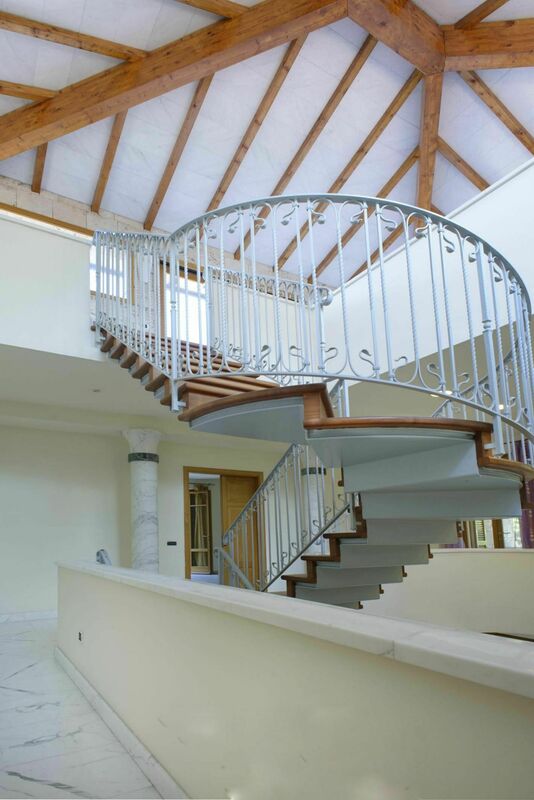 Villa Paradiso is 4Km from Forte dei Marmi and only 800 Meters from the Sea. 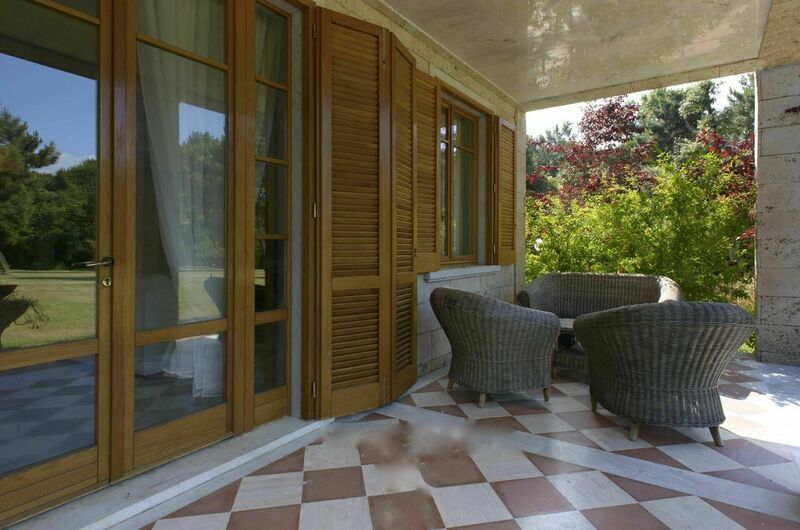 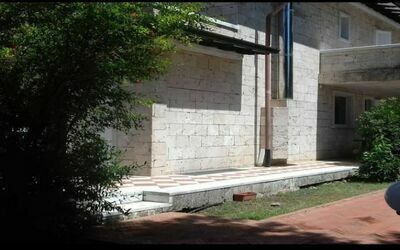 The private outside area consists of a 5000 Sqm fenced Garden with areas to dine or to take a sunbath. 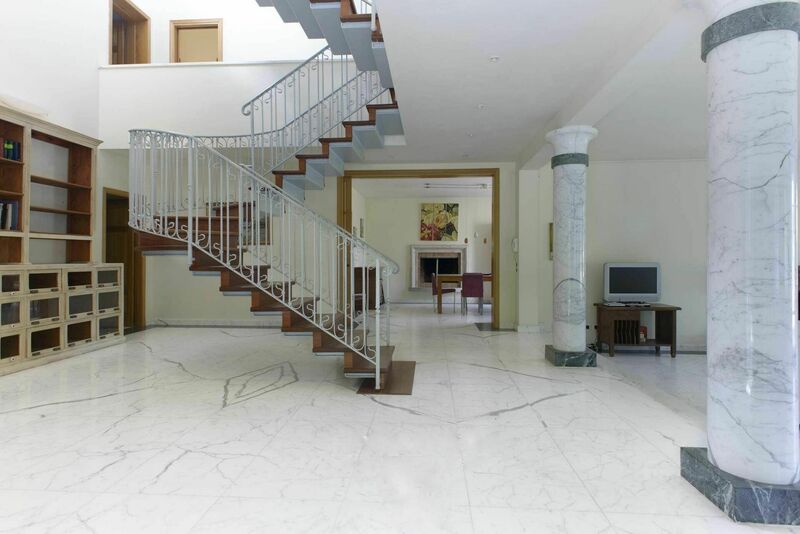 Parking for at least 4 cars available on the outside and 2 inside the underground Garage. 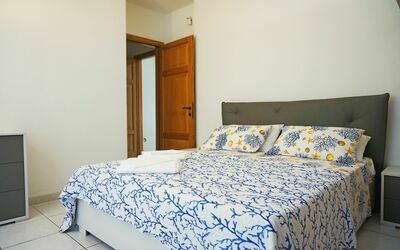 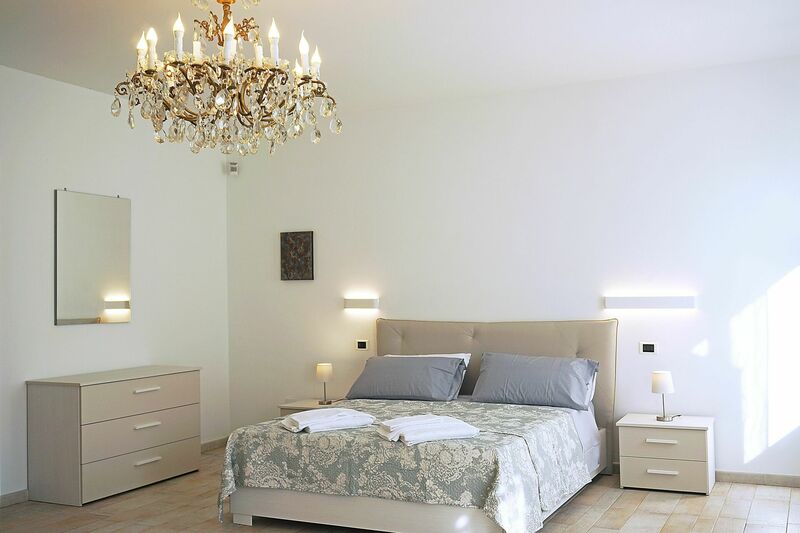 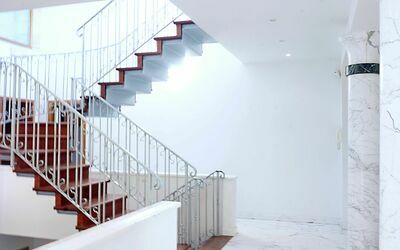 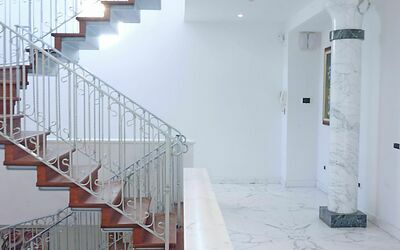 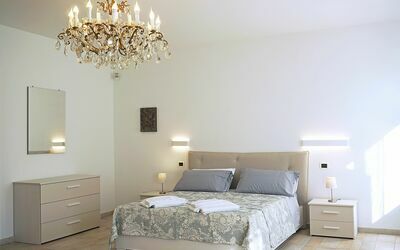 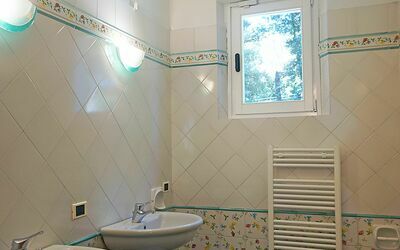 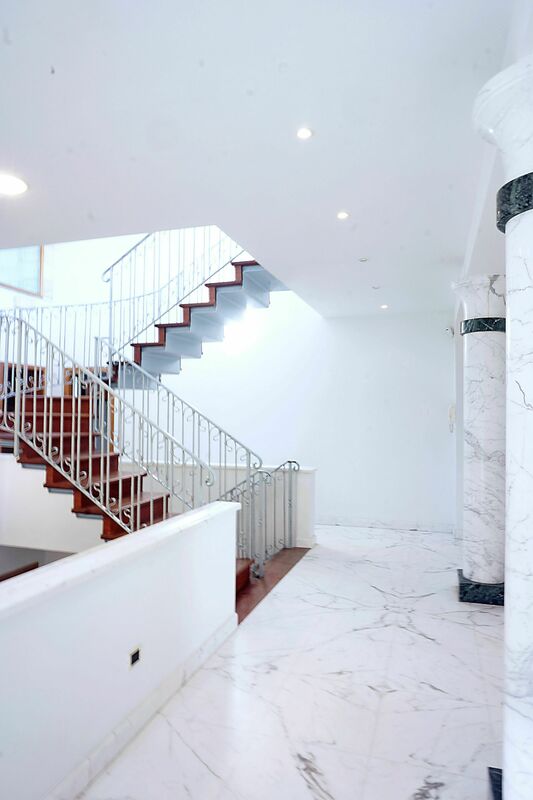 The Holiday Villa Paradiso itself measures 600 sqm on 3 floors, with 5 Bedrooms and 5 Bathrooms, fully equipped with free WiFi Internet Connection. 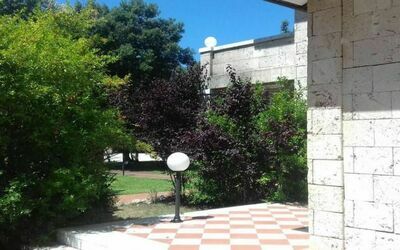 In the small center of Ronchi, 600 Meters, all necessary stores are available: Grocery, Pharmacy, Pizzeria, Restaurant, etc. 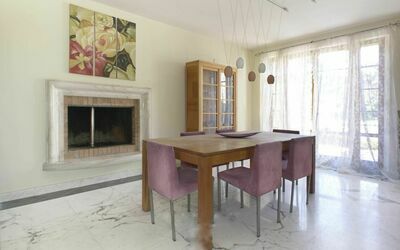 Living room: exit to the garden, fireplace, internet, satellite tv, sofa, television, WIFI internet. 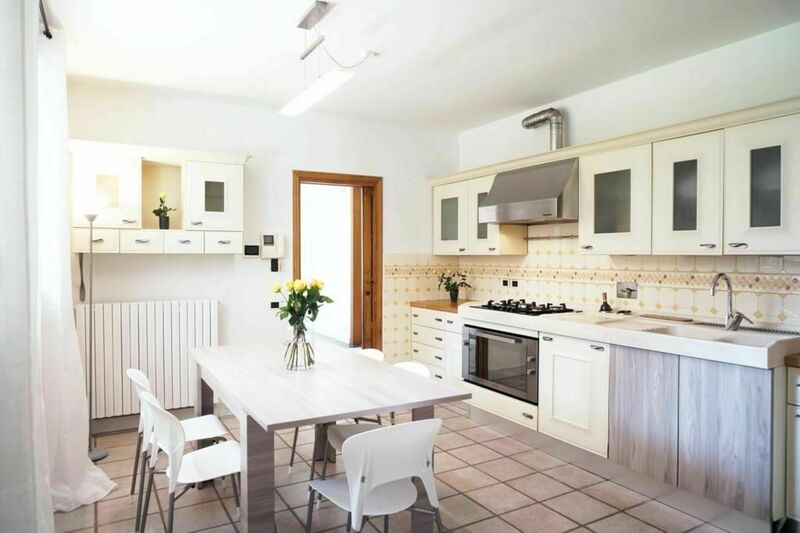 Kitchen: american coffee machine, dining table, dishwasher, freezer, fridge, internet, italian coffee machine, oven, stove top. 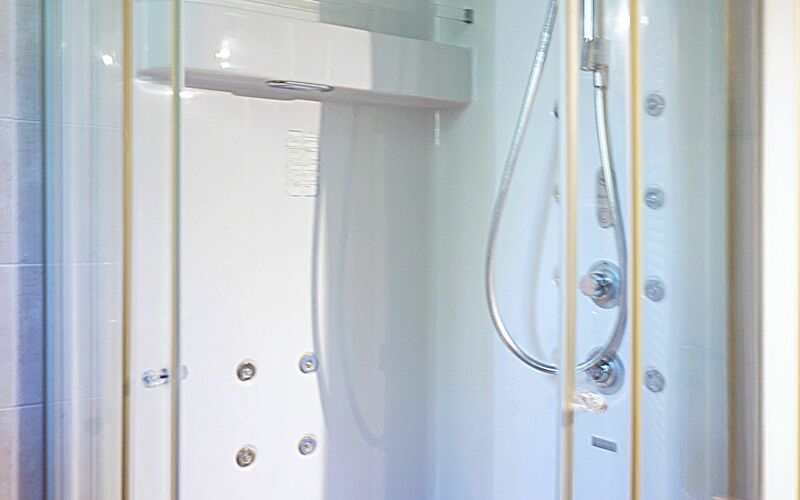 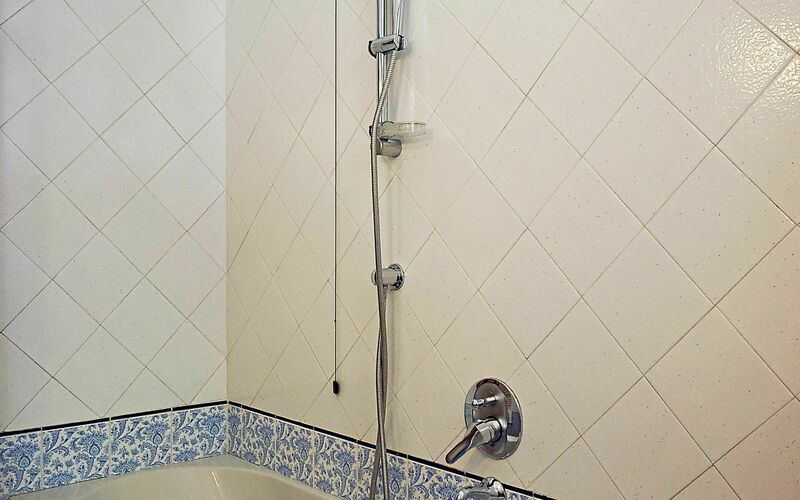 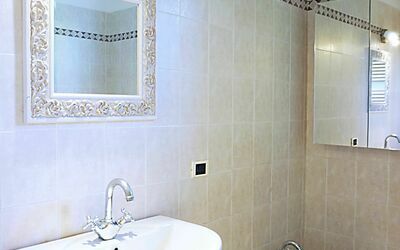 Bedroom + Ensuite Bathroom: basin, bathtub, bidet, double bed, toilet, WIFI internet. 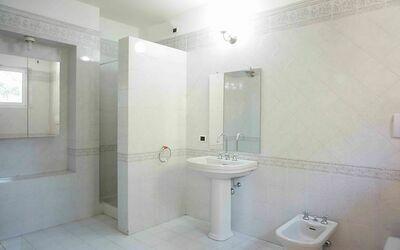 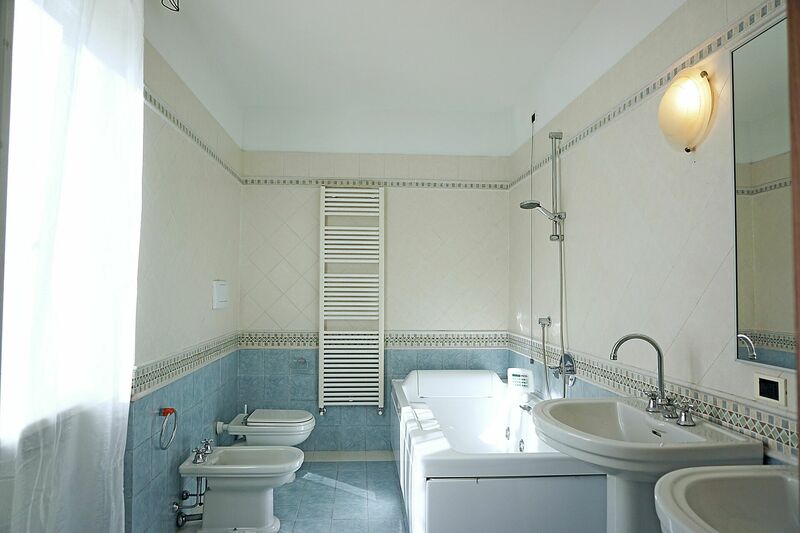 Bedroom + Ensuite Bathroom 1: bathtub, bidet, double basin, double bed, toilet, exit to the terrace. 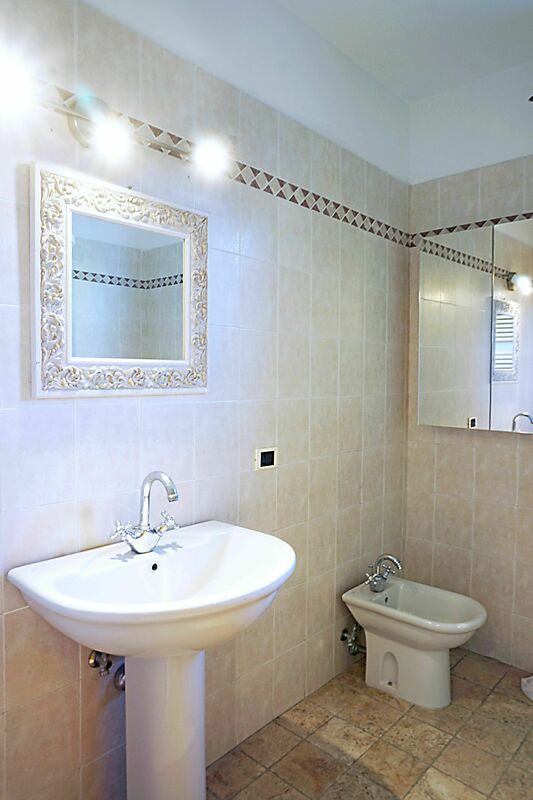 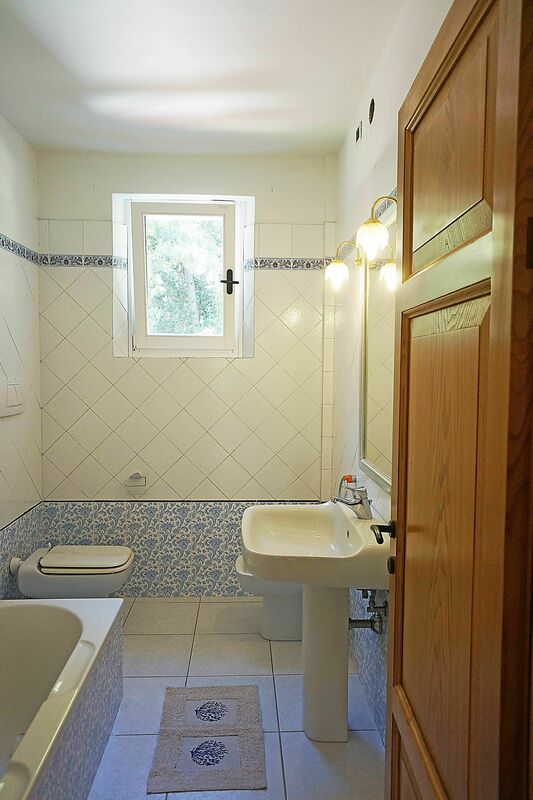 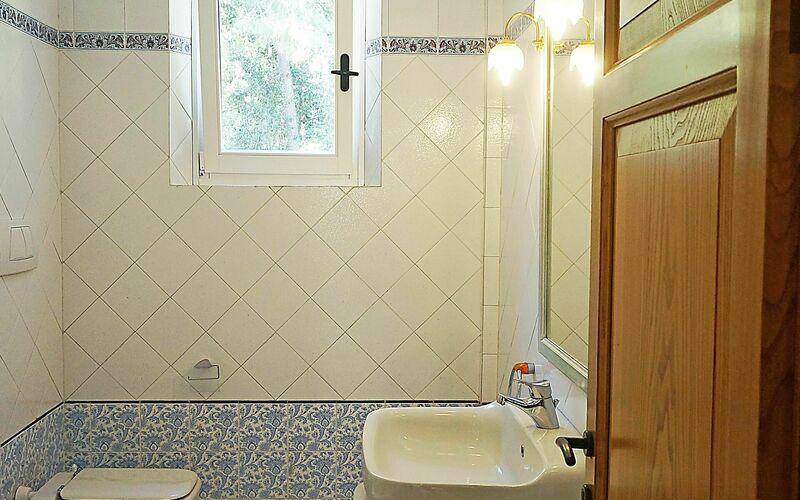 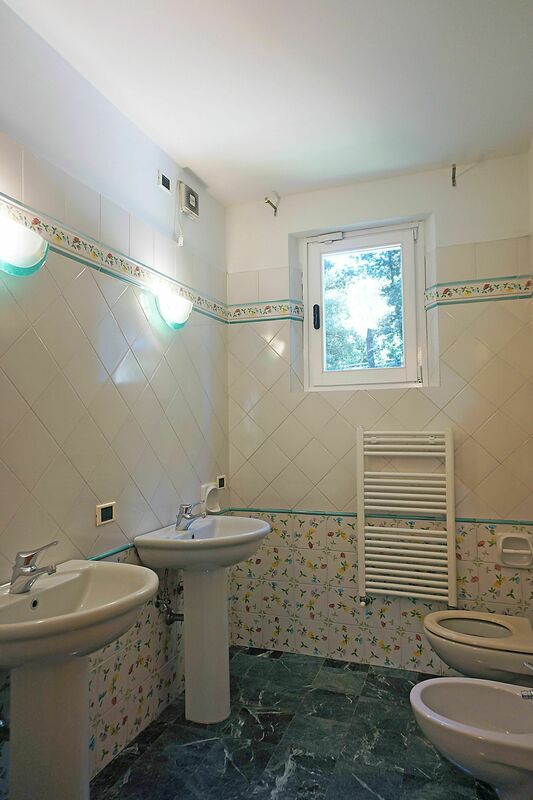 Bathroom: bathtub, bidet, double basin, toilet. 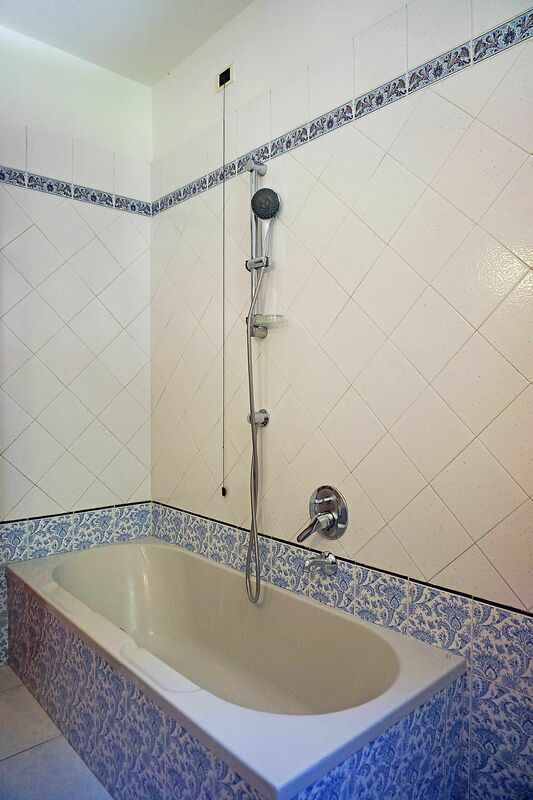 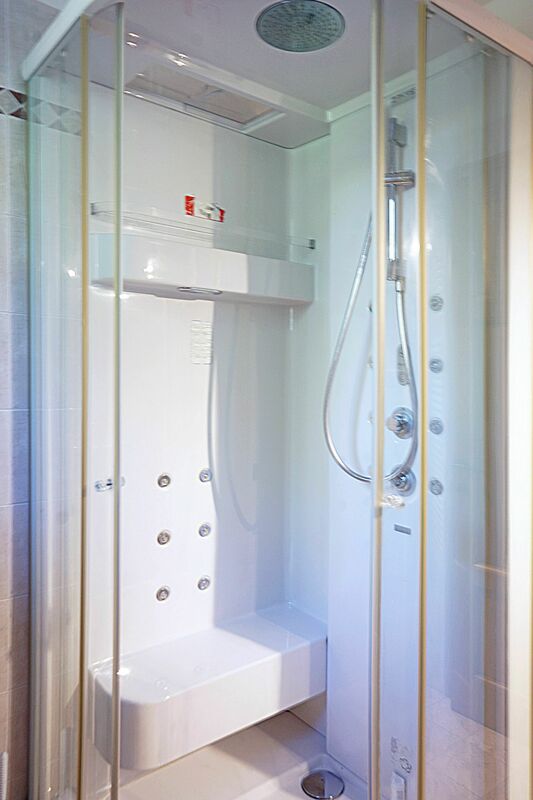 Bedroom + Ensuite Bathroom 2: basin, bidet, shower, toilet, double bed, exit to the terrace. 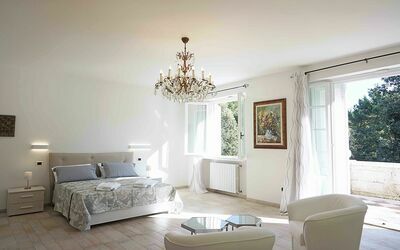 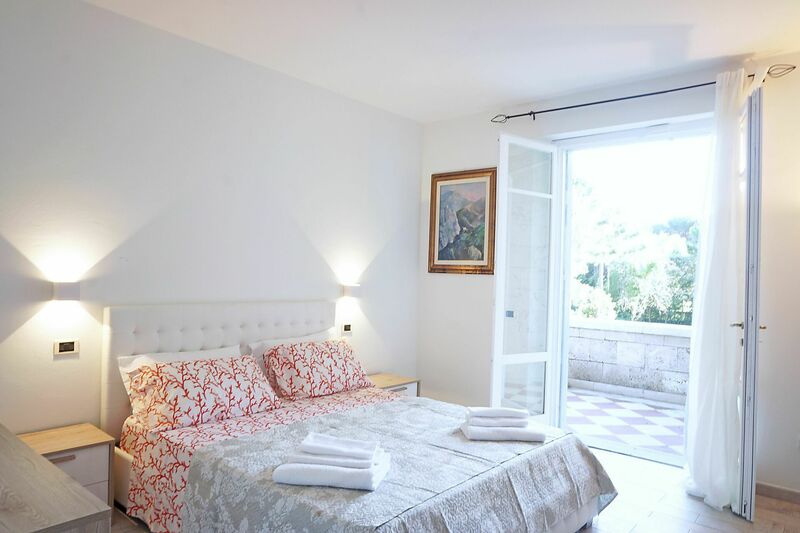 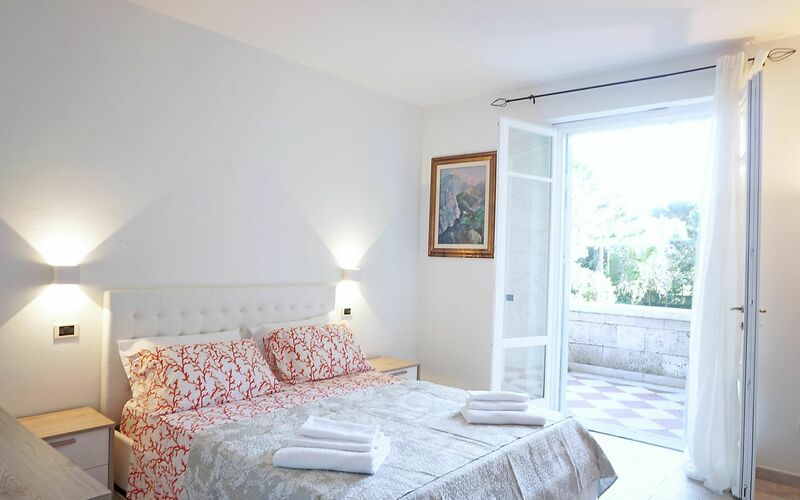 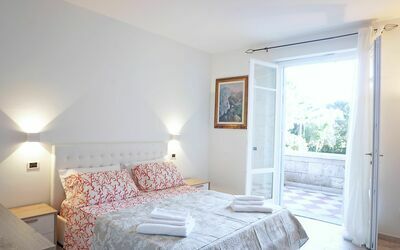 Open space: double bed, exit to the terrace. Garden: al fresco dining, barbecue, dining table, enclosed property, fenced, garden furniture, sunbed.